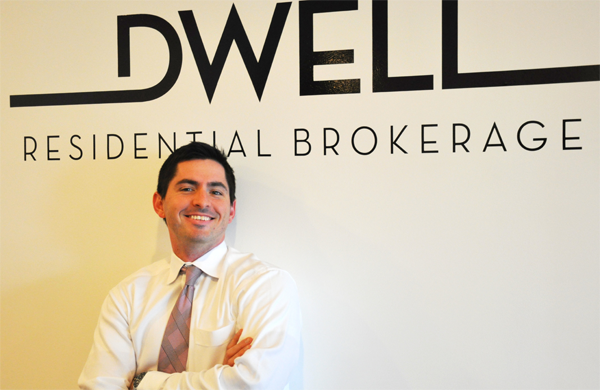 Dwell Residential is excited to have Graham join our team of agents. Please stop by to say hello! It took me more than 10 years working in politics before I realized my true passion and calling – real estate. I got a start in 2009 and have been making real estate work for me ever since. In a few short years, I’ve had the opportunity to work with first-time home buyers, real estate investors as well as engage in multiple partnerships to manage properties and interact with residential tenants. Through all of this work, I’ve come to understand the many factors that drive a housing market as diverse and unique as the District’s. I’m excited to join Dwell Residential and its boutique philosophy. Having the backing and support of a small brokerage along with my hands-on experience with various income properties gives me a competitive insight into the home-buying process. I am able to write offers for clients that incorporate their specific personal needs so that they can make informed and confident decisions when purchasing a home. Having worked on campaigns and as a Capitol Hill staffer, I know what it means to have long and unpredictable hours. I understand that it is tough for young professionals and growing families to find the time to spend with family and friends, let alone go through the home-buying process. Compound that with the fact that many District residents work in public service and at one point in their careers made the decision to accept salaries below their earning potential – all of which can make real estate seem like an impossible dream. But finding the right home on a tight budget doesn’t have to be a daunting task! My knowledge of first-time homebuyer discounts and assistance is a way I know I can help make homeownership a reality. I have seen first-hand how owning a home can be a powerful tool for financial empowerment and personal satisfaction. Whether the reason for wanting to purchase a home is to escape the unpredictable rental market or wanting to offset a mortgage with some rental income, I can help make real estate work for you. Purchasing a home, whether for the first time or for the tenth time, is not a decision that should be taken lightly. But putting real estate to work for you doesn’t have to be an overwhelming process. Break down the process of purchasing your home into manageable pieces that fit your budget, timeline and most importantly….your life goals. I can help you do it!